Ru Kiln, located in ancient Ruzhou, (now in Linru,Henan Province), was an official Kiln for the royal family created in the first year of Emperor Hui, Daguan in the Northern Song Dynasty (1107). Ru Kiln was a celadon kiln and was deeply influenced by Yue Kiln. All its porcelains were featured with delicate and neat body, glaze and production methods. Celadon from Ru Kiln had very delicate body. As the clay it used contained a small amount of copper, porcelain would show a tiny red when went against sunshine. Some clay contained some grey and yellow color, which was also called “incense ash base”. Most of the glaze color are sky green, pink green, sky blue, as well as bean green, dark green, moon white and orange peel pattern. The surface of the glaze was soft and gentle, clear like jade. The decoration patterns are also crystal and changeful, which was delightful for eyes. As Ru Kiln produced a large sum of daily utensils and exhibits for Song royal families. Teawares were once produced in a large sum of daily use of the royal family. However, Ru Kiln did not work for a long time. Later, it was invaded by the Jin army and stopped its production. Therefore, they were only a few teawares from Ru Kiln, which made these teawares very valuable. The exact location of Ge Kiln has not been discovered yet. It is said that 2 brothers built 2 kilns separately to make porcelains. The elder brother name his kilns as “Ge Kiln” (Elder brother Kiln” in Chinese). The main feature of Ge Kiln products was the different sizes of cracked patterns on the glaze, also knows as “hacking”. As the small pattern was gold yellow while the large pattern was iron black, this glaze was also called “gold thread and iron line” pattern. Ge Kiln porcelains have different colors like black, dark grey, light grey and yellowish brown. Glaze is mainly grey green, with high quality, delicate work and royal palace porcelain pattern. There are only a few teawares in Ge Kiln porcelains that have been kept till now. The official kiln was built in Bianliang, the capital city during Emperor Hui Zong of the Song Dynasty (1111-1117). The location of this kiln has not been discovered yet. The official Kiln mainly produced celadon and its items always gad an elegant palace style. They also focus on the raw materials as well as the mixing of glaze. The 3 most popular glaze colors were moon white, pink green and bright green. The glazed layer was always very thick and with hackings. The hackings on official Kiln products varied a lot from those on Ge Kiln products. Generally speaking, thick glaze Ge Kiln porcelains had large ice-cracked hacking while thin glaze layer had small hackings. Ge Kiln porcelains always had tiny fish egg patterns. Porcelain from the Northern Song Kiln were very precious as there were not many yet. Jun Kiln was the second official kiln built during Emperor Hui Zong of the Song Dynasty after the Ru Kiln, located in Junzhou (now city of YuZhou, Henan Province). Thus it was named as “Jun Kiln”, all the Jun Kiln porcelains were fired twice. Items were fired nakedly for the 1st time and glazed to fire for the 2nd time. Jun porcelains have various kinds of glaze colors. Red, blue, green, white, and purple mixed together like rosy clouds. The reason of this art effect was that the ingredients added during firing contained gasified copper. This was a great invention in Chinese porcelain history, called “Change in the kiln”. Ding Kiln was a civil kiln and mainly produced white porcelains. The quality of its porcelain was fine and smooth, thin and bright and had a glaze that looked like jade. Besides the white glaze, Ding Kiln also came black, green and caramel glazes. Most of them were plates, bowls and some plum vases, pillows and boxes. 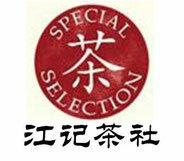 On the pieces of Ding Kiln porcelains, people found characters like “官“(official) or “尚食局”（Food Department）. This meant that parts of Ding Kiln porcelains were made for government and the royal palace. Among the Ding Kiln porcelains that have been passed or discovered, teawares account for a part. They are mainly bowls, bowl bases and pots with a handle to carry. Purple bowl base and black open bowls are standard teawares.